Deep down inside, each of us knows what our truths are. 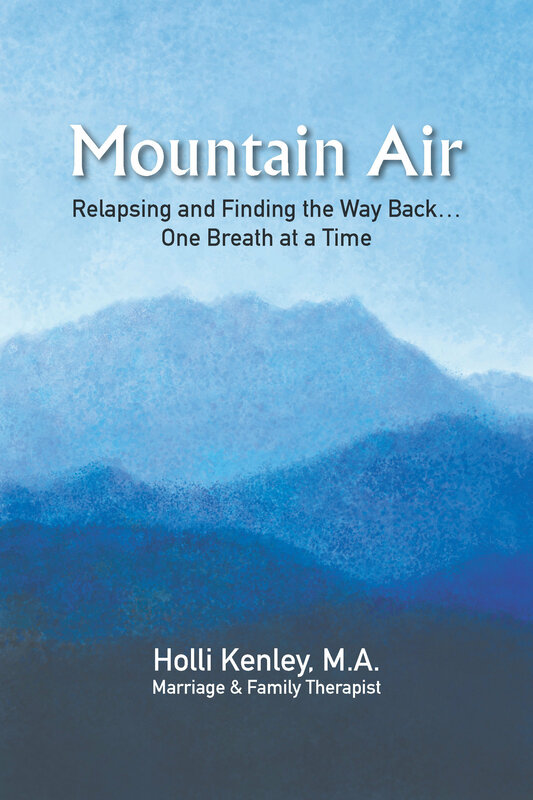 Mountain Air: Relapsing And Finding The Way Back One Breath At A Time is a brutally honest personal narrative detailing a painful decent into relapse and a powerful journey back to recovering. Embraces individuals who have abandoned their authentic ways of being for a life of personal neglect, indulgence, or self-destruction. Speaks to individuals who have betrayed their healing tenets - the addict who has lost his sobriety, the abused who has returned to her abuser, or the codependent who continues to rescue the uncontrollable. Reaches out to individuals who have maintained a life of stability and wellness, but who are eroding over time – and losing their sense of self and of spirit. By inviting readers to take a journey with the author as she shares time-tested lessons in the recovering process. By providing thoughtful and accountable exercises with each chapter that guide the reader in the reclaiming and sustaining of their truths. "...a personal memoir out of which she extracts principles that can be generalized to all who are in recovery, inspiring them to take courage. This poetic and nature-infused account should become a standard for all therapists and all in the process of recovery." "With Holli’s inspiring personal journey from relapse to recovery and her challenging questions in each chapter, the reader can examine self-defeating behaviors and beliefs that block the natural ability to walk through change, pain, and difficult times."